Twenty-five kilometers east of Sassari, in the sprawling center of the Anglona region, lays the stunning small town of Martis. It is here you will find the magnificent Petrified Forest of Carrucana – Foresta fossile di Carrucana. What is a petrified forest? “A petrified forest is a forest in which tree trunks have fossilized. The stones sit along the bank of the Riu Altana and vary in size; some with deep holes in the center. Which my friends and I believed were artificial but once we visited the museum of Perfugas we soon learned that it’s a natural process the petrified wood takes on. Walking around the petrified forest of Carrucana is like walking around on another planet. These huge trunks stones are scattered left to right; some taken years ago from another site close by and some lie in their original state of decay. What does petrified wood look like close up? It looks like wood, it seems like wood but it’s petrified and turned to stone. I have no idea! But I found a great site that explains it all. Sardinia never ceases to amaze me. Around every corner a beautiful surprise awaits the next curious soul. Have you seen the petrified forest of Carrucana? Have you been there too? Thanks for the tip! Yes, the waterfall was really nice too! Thanks for stopping by. All the best! Pingback: How long does it take to petrify wood? | All you would like to know about God! More impressive than the one we have in the Transkei, by far. That is cool. From the first pic I thought it was old ancient Roman wine jugs. I would love to know how to get there! 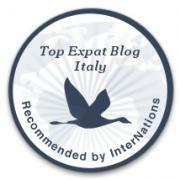 I’m in Sardinia now and love your blog! I’m not really good with directions and I don’t drive! I was in the backseat when we went here. Just head towards Martis then ask for directions. Sorry I can’t be of more help. Let me know how you get on. Keep the interesting things coming! Great and so very interesting, I am keeping a list of the many opportunities to see when we get back there! Thank you! Sardinia is an ancient place, full of amazing things. Lucky for us many are still around to see. Well, that’s a new one for me..I never knew we had those and I lived very close to Martis. Where was my brain when I was young.??????? ?